Born in the final weeks of World War II--in what Germans who wished to erase it from collective memory called Year Zero--Anselm Kiefer has long sought to come to grips with his country's Nazi past. This monograph traces his development as an artist through four blocks of work which reflect the most important currents in his complex oeuvre. 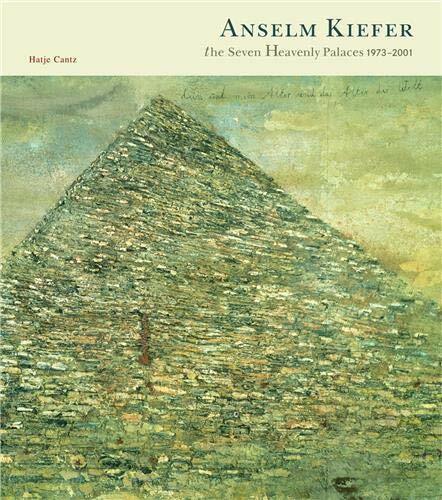 Moving chronologically from microcosm to macrocosm, from the intimate spaces of "Attic Images" in the 70s through the vaster "Stone Halls" of the early 80s and the archaic-looking clay architectures he created in the 90s, Kiefer's pictorial spaces climaxed in the endless universes of "Images of the Cosmos and Constellations," painted at the close of the century. With the monumental "Sunflower Paintings," the progression was complete and he returned to earth. Also included are photographs by Thomas Flechtner which document the greenhouses, underground corridor systems, and installations realized by Kiefer at his studio estate in Barjac since 1993.